The Ellison Foundation is happy to announce the 2017 recipients of the “Ellison Education Grants”. The foundation funded (or partially funded) fifteen grants. Since 2003, the Ellison Foundation has supported Rainier Scholars in their efforts to cultivate the academic potential and leadership skills of hardworking, low-income students of color. 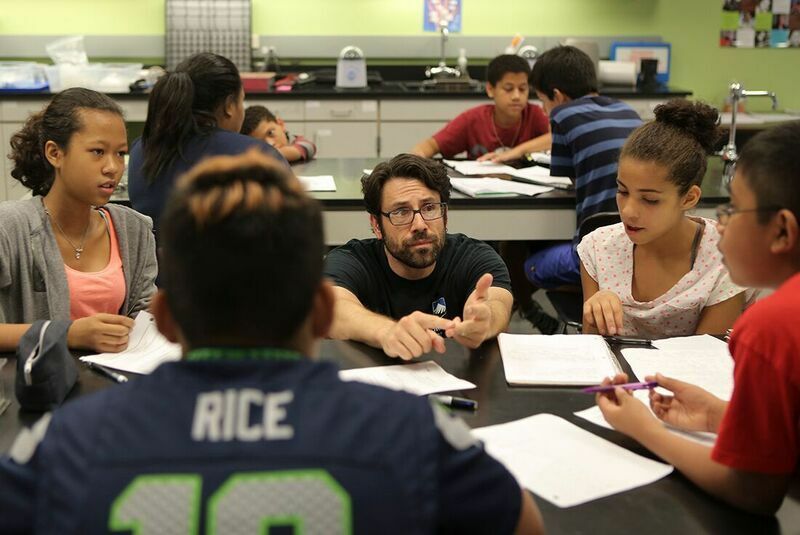 By creating transformative educational opportunities and providing comprehensive support to scholars and families, Rainier Scholars increases college graduation rates and empowers new generations of leaders. The mission of the Brotherhood Initative is to increase the enrollment, retention, and graduation rates for males of color at the University of Washington and other institutions of higher education. By promoting values of support, respect, unity, community and shared commitment the Brotherhood Initiative creates a safe space for students to thrive on campus and graduate prepared for a lifetime of leadership, service and success. For more information regarding the Ellison Education Grants for K - 12 teachers and how to apply, please click here.